... And it looks really, really good. Banner of the Maid is a game that is well worth keeping an eye on. In development by a Chinese studio, and set for release on PlayStation 4, Nintendo Switch and PC this year, in it you get to play as Napoleon Bonaparte's sister, Pauline, who is dragged into the political and social unrest that was the French Revolution. Now, Pauline was a real person, and the French Revolution is just the most fascinating part of French history. I wouldn't expect the game to be too historically accurate beyond that, but as the backdrop for a tactics RPG, it provides it all; plenty of conflict, labyrinthine politics, and awesome costumes - sorry, military uniforms - for the characters to wear. And as you can see from the trailer, the art is looking really good. 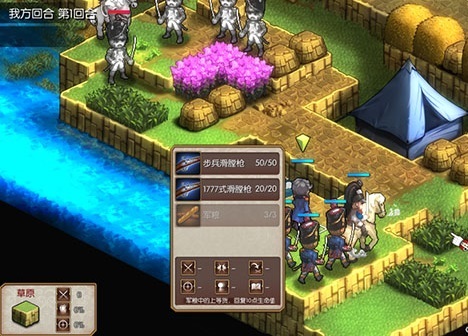 Truly, that tactics JRPG genre is going through a real resurgence at the moment, and it's great to see the ongoing growth of the Chinese game development scene... especially in terms of games being created for consoles too.